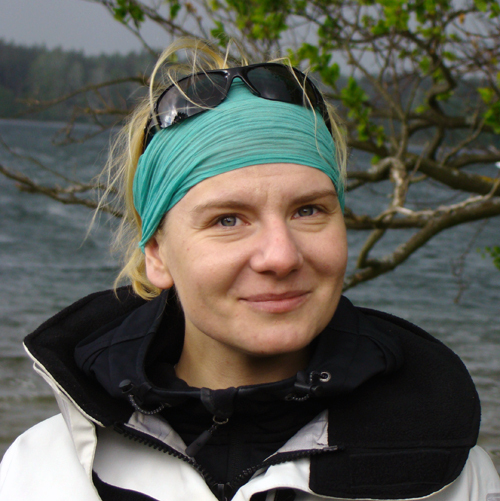 Karolina Chorzewska graduated the Polish Naval Academy in Gdynia in 2010 with honors and gained a Master of Science title defending the thesis "Possibilities of hydrographic sonar applications in underwater harbor surveillance system." In June 2010 she was promoted to the officer rank. She serves in the Hydrographic Support Squadron of the Polish Navy in the rank of lieutenant. The same year she graduated the Naval Academy she started Doctoral Studies in Earth Sciences and Technical Sciences in the fields of oceanology, geography, geodesy, cartography and civil engineering at the Faculty of Oceanography and Geography of the University of Gdansk. As a part of the doctoral program she gained some teaching experiences as a lecturer assistant on Hydrography classes with undergraduate students on Polish Naval Academy. She took a part in numerous cruises on different types of navy vessels, including hydrographic research vessel. Her last two months before arrival to New Hampshire she spent on the deck of Polish Navy training vessel as a watch-keeping officer. Her biggest passion is sailing, she also enjoys swimming and very rare calm evenings with a good book. Takafumi Hashimoto has worked for the Hydrographic and Oceanographic Department of the Japan Coast Guard (HODJ) since 2008. He was engaged in the procurement and maintainance of the hydrographic survey equipment. His research interest at CCOM is ocean mapping. He received his M.S. degree in earth science from Kumamoto University in 2008. He likes cycling and climbing mountains. Htike Htike is pursuing a Postgraduate Certificate in Ocean Bathymetry in CCOM at the University of New Hampshire. 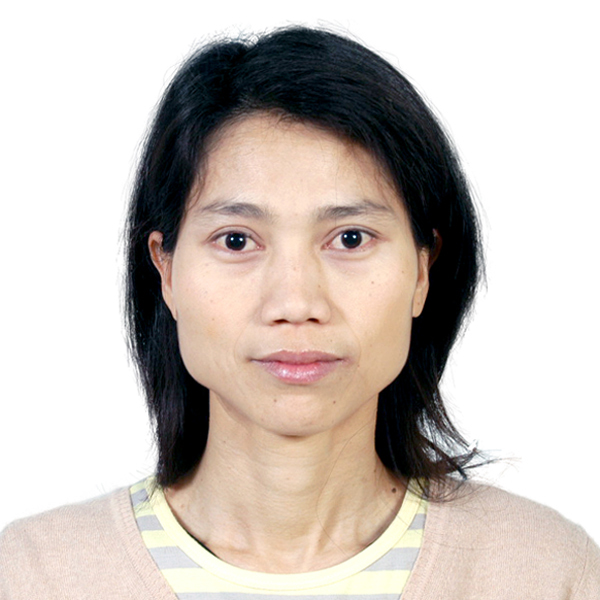 She obtained a Bachelor Degree in Civil Engineering from Mandalay Institute of Technology, Myanmar, in 2002. She earned her Master Degree in Civil and Environmental Engineering from Saitama University, Japan, in 2005. She received a degree of Doctor of Engineering in Engineering Mechanics from Hohai University, China, in 2011. She is an assistant lecturer at the River and Coastal Engineering Department of the Myanmar Maritime University. 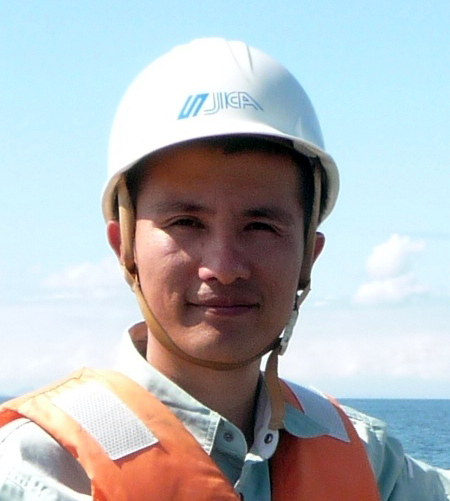 Xinh Sy Le is currently a Senior Lecturer in the Maritime Navigation Safety Section, Faculty of Port and Coastal Engineering at the Vietnam Maritime University (VIMARU). He graduated from VIMARU in 2004 with a B.S. in Navigation Safety Engineering. He gained a Master’s degree in Waterway Construction Engineering from VIMARU with the thesis entitled, "Automatically Ship Channel Design," and was awarded a Category B for Hydrographic Survey from JICA/JHOD Tokyo, Japan in 2011. Siong Hui Lim (Stanley ) is a Lieutenant Commander in the Royal Malaysian Navy (RMN). He has graduated with a B.S. in Nautical Sciences from Universiti Teknologi Malaysia, and has been commissioned as Lieutenant RMN from Malaysian Armed Forces Academy (currently known as Malaysian National Defence University), Malaysia in 2004. Stanley is a certified CAT B hydrographic surveyor. He has competences in Bridge Watch Keeping for ship navigation and handling, and has competency of boat handling. His most recent appointment was Staff Officer 2 Hydrographic (Survey/Technical) in National Hydrographic Centre, Malaysia. 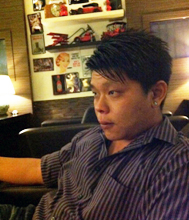 Stanley is an active badminton player and likes to watch soccer matches. He is a big fan of both Chelsea and Arsenal soccer clubs. 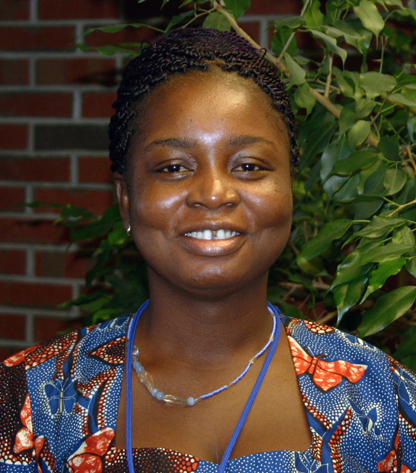 Eunice Nuerkie Tetteh is a GEBCO student pursuing a Postgraduate Certificate in Ocean Bathymetry here in CCOM at the University of New Hampshire. Prior to become a GEBCO student, she worked with the Marine Fisheries Research Division of Fisheries Commission of the Ministry of Food and Agriculture in Ghana as a Fisheries Officer. She also worked as the Data Manager for the Ghana National Oceanographic Data and Information Center (GNODC) of Ocean Data and Information Network for Africa (ODINAFRICA). Currently, she is working with the team of experts to develop a Marine and Coastal Atlas for Ghana under the ODINARICA project. She has a Master's in Oceanography and a Bachelor's in Zoology from the University of Ghana. She loves watching football and cooking.